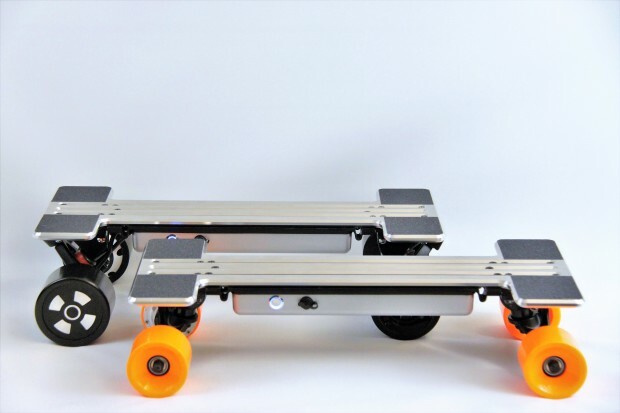 Electric boards, also known as e-boards, have already come a long way and has proven itself as a popular commuting option for many urban dwellers. But there still remains the biggest complaint amongst e-board owners and enthusiasts: the bulk and weight of these boards can be quite gutting at times, especially during lengthy commutes. With the new I-Ride e-board, this issue is no more. 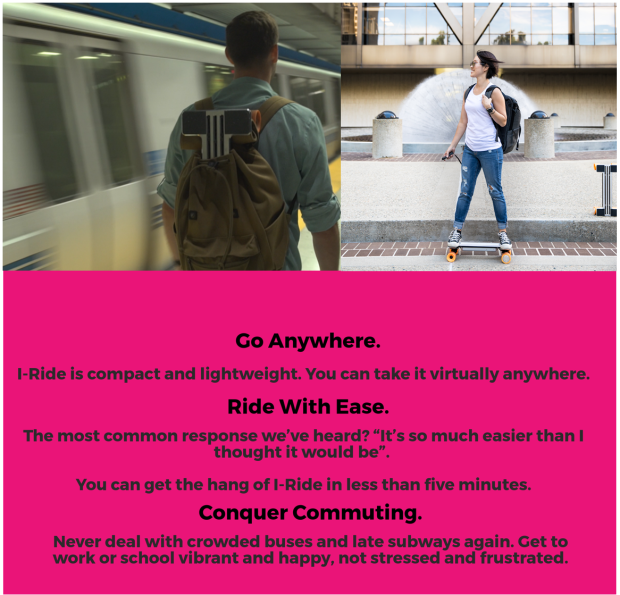 Combining a simple yet functional design and a powerful set of motors in a package that fits in your backpack, I-Ride lets you go further in both style and comfort without sacrificing functionality. I-Ride is built tough – enough to withstand the rigors of daily urban living. Starting with its lightweight yet durable premium aluminum construction, this e-board handles your commute just as good as it looks. A machined brushed aluminum finish ensures a striking look from any angle that can make heads turn as you hit the streets. It only weighs 15 pounds and measures 20 by 8.5 inches, so you can easily slip it into your backpack while on the go. Having a unique design that equally puts both form and function forward, I-Ride never compromises on the aesthetics as well as the core purpose of getting you from point A to point B in the most effortless way possible. Powerful hub motors are at the heart of the I-Ride e-board. These electric motors may seem small, yet they run quietly and are instantly responsive to your riding preferences and the road conditions. 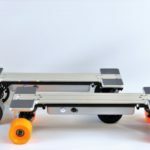 The board can carry a weight of up to 280 pounds, and still easily go uphill surfaces of up to 20 percent grade slope – just hop onto the board, and watch yourself ride even the most challenging urban terrain without breaking a sweat. And because I-Ride is a smart electric board, it comes standard with regenerative braking that recharges your battery as you brake to give you more range as you go. I-Ride ensures that you’ll go the distance in style and comfort, that’s why it boasts of an industry-leading electric board range of up to 20 miles on a single charge. 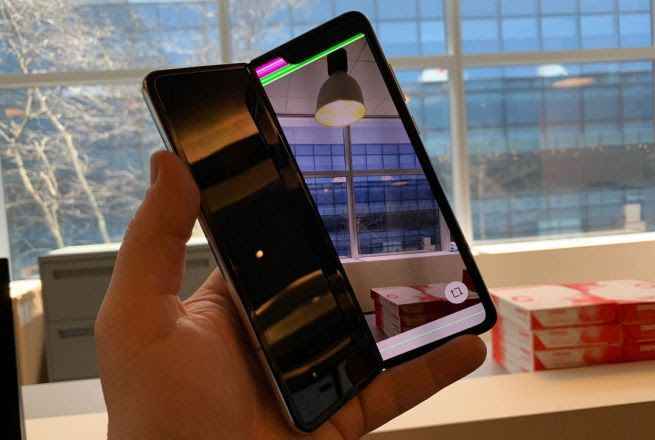 It’s also equipped with a handheld remote that fits comfortably in one hand, so you’ll never come across the need to fiddle with smartphone controls. If you’re in the market for an electric board that promises good value for money, the I-Ride is definitely worth the look. Made from premium materials and powerful components, it balances itself in the position of being a work of art and a reliable urban travel companion.